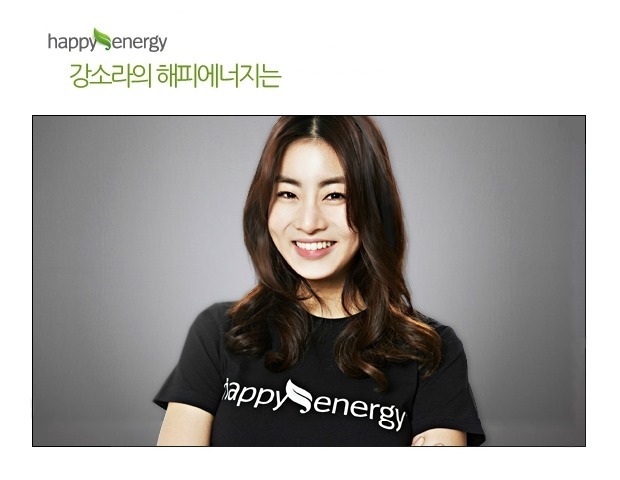 Complete Sora's Scheduls on Jan.
Sora is the charity ambassador for "Happy Energy"
're happy when you send or receive mutual help energy literally: Happy Energy good with people and me also to help them to get help when Sam rises Happy Energy! another chance like this to me for the Prevention of School Violence to help am so glad we can. my personal opinion, High School Drama Club childhood school days my golden age was. too many talented people around them do not know me if there is any talent I'm looking for a very difficult to find or late, if you do not know, you poor thing. ^ ^ hope the little that you can quickly find your talent got along with people, got a chance to look . immersive role-play, while I can feel the other person's feelings. it around so that it can be absorbed in the role of helping emotionally obtained. psychodrama She was healing and In addition to the prevention of, hope this helps. ^ ^ Do not be afraid, my school days a little bit more experience when browsing through my talents got a chance to got along with people a little bit of your talent that you can quickly find any wish. [Full Trans.] Sora Interview with Sina. * Some sentences are paraphrased for grammar. 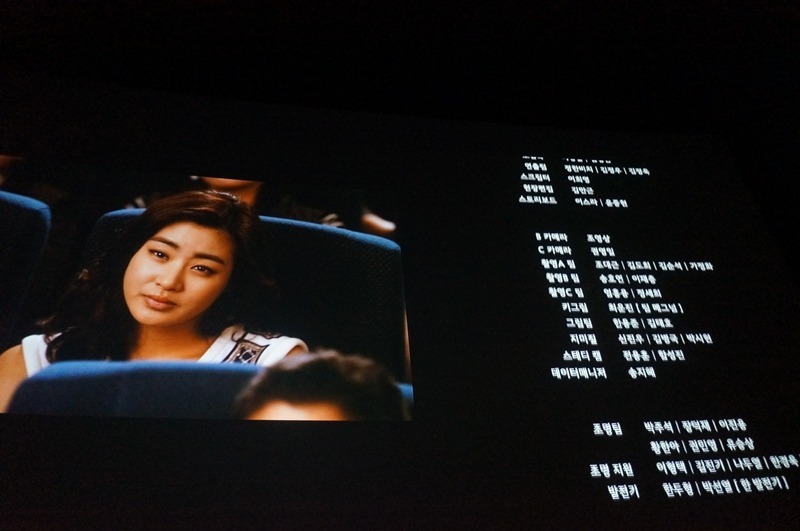 "Dialogue with Kang Sora: Have Regrets Towards Lee Teuk, Like Tony Leung"
From her movie [sunny], many audiences came to love a lovely loyal 'big sister (leader of girl group), [Dream High 2] everyone saw a girl deeply passionate about music, in [WGM] we saw a 'humble girl' (woman who lets the guy lead) blessed with great care by SJ Lee Teuk. 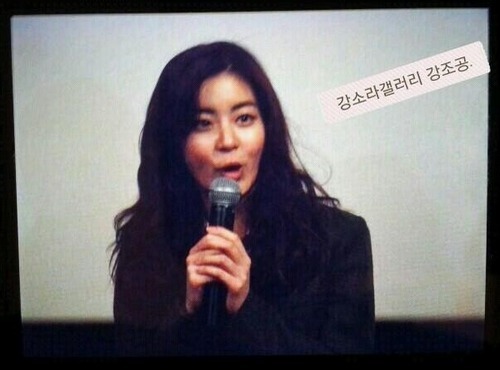 Her popularity soared even more, she is Korean actress Kang Sora. 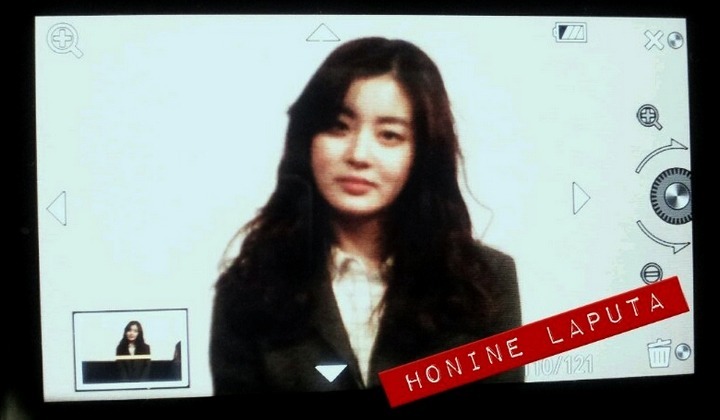 A few days ago, Kang Sora had an interview with Sina. 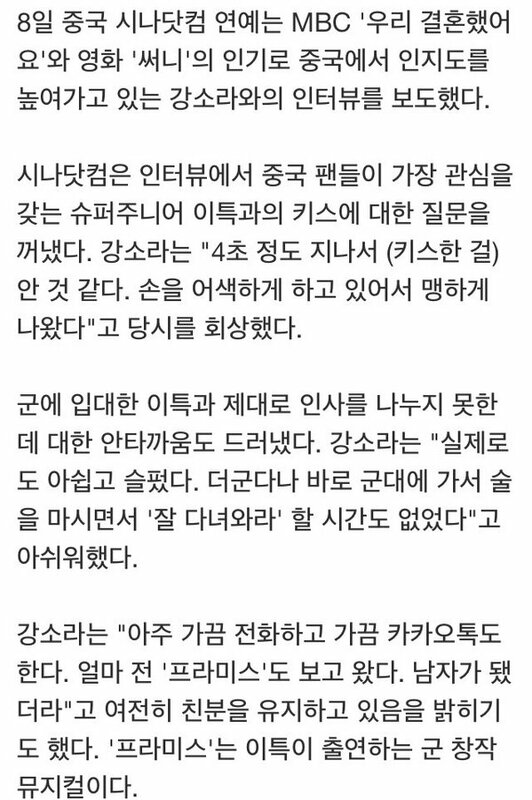 She expressed during "last kiss" with Lee Teuk she was very reluctant (to part with him) and felt more regret/pity that she was not able to ask him to "take care" before he enlisted. She also expressed she liked Chinese actors like Tony Leung, Tang Wei, Zhang Ziyi, while Sora's mum is a big fan of Chinese kungfu shows. Sina: Let's first greet our friends online. Sora: Sina friends, how are you? I'm Kang Sora. Sora: Hello, very happy to meet everyone. Sina friends, it's my first time meeting you, my name is Kang Sora. Sina: Many Chinese fans know you through [sunny]. Does this movie have any special meaning to you? Sora: This movie ranks above all the works I wanted to do. It is also a very unique/special work. As there were actresses in the movie, more so all the girls are the same age group, it was very enjoyable during filming. This movie gave me many memories. Sina: In this new movie [Paparotti], your role is a high school student. What's the difference between this role and your role in [sunny]? Sora: In [sunny], Chunhwa is different, she is a loveable who likes guys but there is no love line. [sorry i don't know how to phrase this] This role exceeds all of my expectations, a lively, lovely role. Sina: Which role describes you most? Sora: Talking about my lively character, my role in [sunny] is most similar. But if you are talking how 'unexpected' or caring I can be, my role in this new movie is more similar. 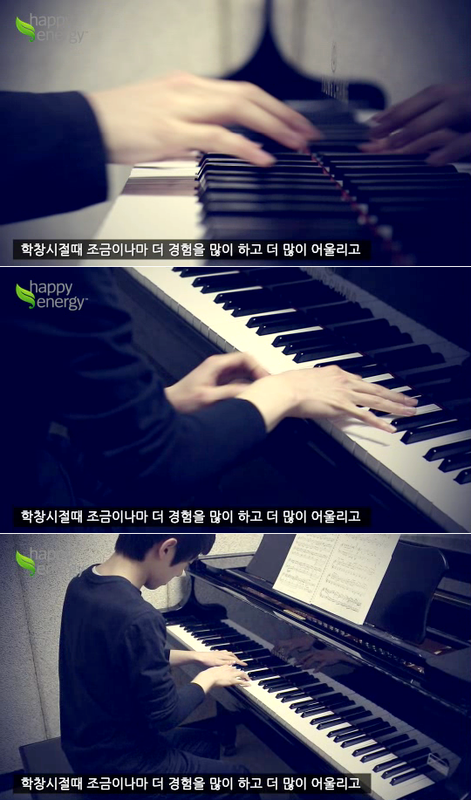 Sina: In [Dream High2] and [Paparotti] both of your roles are music students. Do you think the roles are repetitive (duplicative) and how do you rate your singing (ability)? Sora: I love to listen to music. A common thing in both shows is that both characters are terrible in music however hardworking she is. As both characters had no 'achievement' in music, I felt they were similar to me: that is, love listening to music. Interviewer: Last year you received the Best Couple for Variety for WGM, do you keep in contact with LeeTeuk after his enlistment, how/what are your feelings? Interviewer: [WGM] How did you feel when LeeTeuk gave you the kiss in the final episode. It moved many people. Sora: Then, I only after 4 seconds, realised 'this is a kiss ah'. At that moment, I thought this screenshot can't be uploaded to the internet! My hands then was like that (gesturing). Because my hands was like that, I looked very silly. 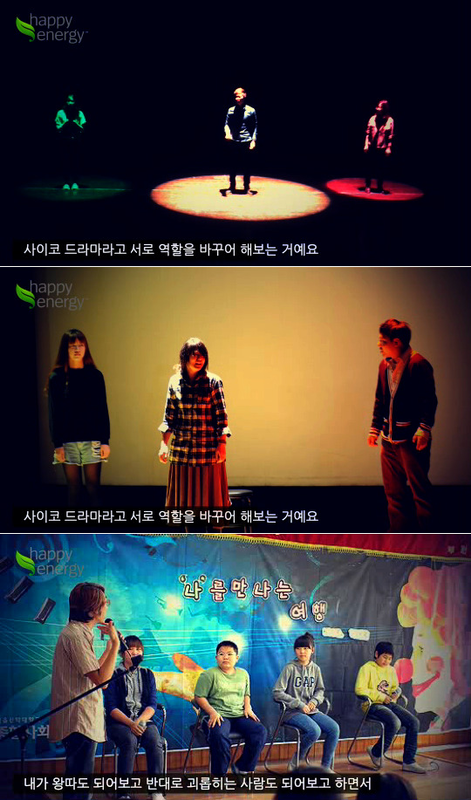 In reality, during the last episode I was very reluctant and sad, to add LeeTeuk will enlistment after filming "WGM". I felt more regretful because we also didn't had time to drink and the chance to tell him "to take good care of yourself". 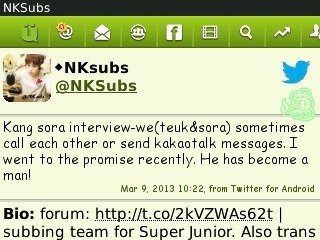 Interviewer: Do you still keep in touch with LeeTeuk who is in army now? Sora: We occasionally contact each other by phone. Recently, I watched [The promise]. He became more masculine, if he was like this earlier, wouldn't be it be good/lovely. Sina: Since your debut, you received the Best New Actress Award, Popularity Award, also worked with Hallyu stars like Lee Teuk, Kim Hyun Joong, Won Bin, do you feel that you were very fortunate/lucky? Sora: I believe it's 99% due to luck. As I worked more I feel as if that I am very fortunate. Although being hard work is important, having the opportunity/luck cannot be overlooked/neglected. I don't know how long it (good fortune) will run, so I will continue to work harder. Sina: You acted in roles in movies, dramas, even been hosts. Which role did you like most? Sora: Whatever it is, without a doubt, I love acting in movies the most. Sina: How different it is from filming a drama? Sora: In Korea, the preparation work for dramas is comparatively complex/more cumbersome/tiring, with more continuous nights of filming. Skilled/Capable actors are very efficient as they could absorb (digest) the day's script on the same day. However, I lack this skill. I'm not saying that acting in movies is more interesting, but I do feel I need more time to adjust to prepare for a role. In comparison. there is ample/more time when preparing/filming a movie. Sina: In [strong Heart], you said you authored/published a martial art (kungfu) novel online, why did you write this genre? Sora: Well, when I working part-time in a comic bookshop, I started to read kungfu books when I ran out comics to read. To add my mother loves movies like [House of Flying Daggers], [Curse of the Golden Flower], [Crouching Tiger Hidden Dragon], recently watched [Reign of Assassins], she also loves [The Lost Bladesman], [Red Cliff] etc. Ah, also watched [The Promise]. She will bring me along when she watched movies, my first movie was Disney's [Mulan]. Since young, I found it interesting and naturally I wrote about it. Even till now, I love kungfu (movies/shows). Sina: Do you still write short stories? Sora: Currently I love reading novels, so I honestly couldn't write short stories any longer. When writing Kungfu (martial art), it must be long in order to be rich/interesting, as such if I seriously wanted to write one I wouldn't have enough time. Sina: We heard that your work was very popular, how do you feel about it? Sora: I wrote it when I was in primary school not in high school. It's a purely passionate piece of work/ literature. If I read it again now, I feel I read it somewhere before, maybe it's because I researched other work/stories when writing then. Sina: Did ever dream of being an author, before you being an actress? Sora: I loved both writing and acting. As such when I enrolled in University, I wanted to work towards this area/direction as my career. While I was in 'drama course', I wanted to transfer out as my results was not good. But, unconsciously I'm here where I am now. Sina: Currently many Chinese movies are adapted from internet stories/novels, have you dreamt your work will one day be adapted into a movie? And to personally act in it? Sora: If I had the chance, but after watching how directors produced/worked, I won't be able to do it with my present skills. Perhaps when I'm 40 when I have improved my skills/accumulated enough skills, I think I will take on this challenge. Sina: Do you plan to write and direct your own work (movie)? Sora: If I can, I would after I build/collect (bit by bit) my social network and slowly seek actors and singers who will act in my show for free. Sina: What's your future expectations as an actress? What's your ultimate dream? Sora: My aim? Not forgetting my dream is my aim, really. My dream is to be an actress with character, determined, an out of an ordinary/different from the rest. Sina: Among the actors/actresses, who are your friends? Do you meet often? What do you do? Sora: I usually meet up with fellow actors from [Dream High 2] Jinwoon, Seo Joon (rumored dating Nam Bora) and Yeon Joo(youngest girl at FJ' blind date). We became drinking friends ** naturally/unconsciously. We are like brothers and sisters, no feelings of love. NOT drinking alcoholic drinks. As Sora said in her previous interview (September 2012, translated by @nhb19, http://wp.me/p2dT1R-zp), she doesn't take a lot of alcohol or clubbing. Sina: Do you keep in contact with [sunny] sisters? Sora: As they are more busy than myself, we can meet up only after my long pleading, can contacting via phone be considered? Sina: What is your ideal man? Sora: As I'm tall, I prefer strong/muscular man with a shaped/pointed chin. Also, I'm a bit rounded, that's why I like guys with the same physical (shape) like foreign actors like Chris Hemsworth from [Thor], Mark Walberg. Sina: Are you familiar with Chinese directors and actors? Have you watched any Chinese Movies? which one? Sora: I love [Lust, Caution] with Tony Leung (senior)? Tony Leung and Tang Wei. I loved it so much that even bought its DVD. I also love [Crouching Tiger Hidden Dragon], I also watched the movie [MeilanFang], really love the actress Zhang Ziyi. Sina: Is there any Chinese actor/actress you want to work with? Sora: All of the actors are great professionals. Recently I watched [The Thieves] and found the actor, Simon Yam, very stylish/handsome. Chinese celebrities are very good-looking with very good facial features. If I have the chance, I love to work with anyone of them. Sina: Do you plan to debut in China? Sora: If I've the opportunity, I love to do a drama/work like [Return of the Pearl Princess] which I loved watching when I was young. Sina: What is your future work/plans like? Sora: Later part of 2013, I may film a drama though I do not what role I'll take on. But I will work harder to meet everyone. Also I will continue to learn mandarin. Sina: Your last wish for our Sina friends! Sora: Even though this is my first time greeting you, my Sina friends, I hope you again and will work harder bring you better work. Meantime, please don't forget about me. Springtime is coming and the weather is getting warmer, please look after your health. Hope you can visit Korea! I also hope to visit China. Thank you. Springtime, thank you everyone! Bye! Little sister going back to Korea stop(stand)! is this the same answer with SINA ?? 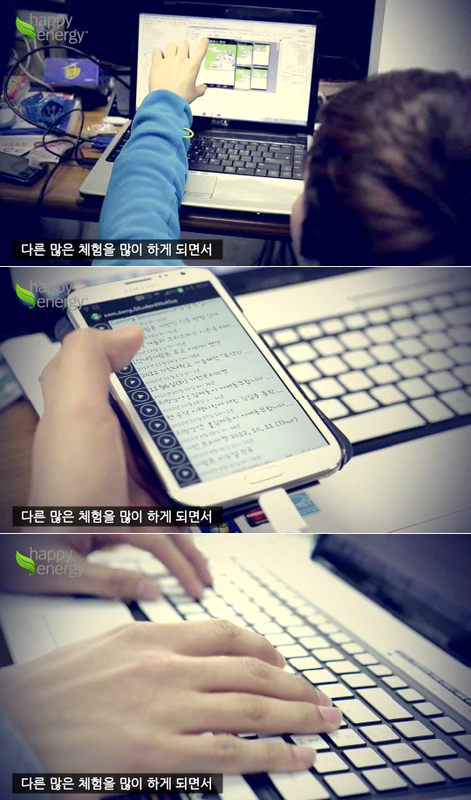 @kirane This is hangul right? Fans: (Screaming) Kyaa! 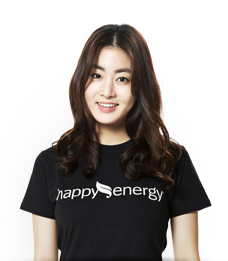 Kang Sora! Beautiful! (Rainbow) Then I'll float (make) a rainbow on your teacup. 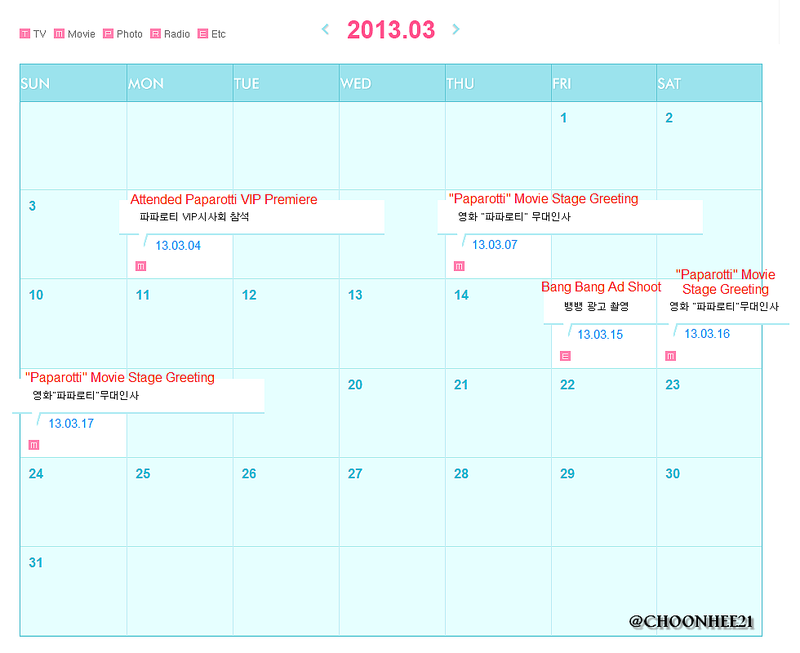 One day, two days, three days- Kang Sora! Han Suk Kyu: 7.9 million admission>> Oh Dalsu~4.75 million (referring to total admission of Gift from Room No.7) and Han Suk Kyu~3.15 million (referring to total admission of Berlin File). Han Suk Kyu: I will do 677 Project (country long march for 677 km). Oh Dal Su: I depend on/follow sunbaenim (HSK). Kang Sora: I won’t let Oppa do it (677 Project) alone. Q: During filming, there’s something you hold a grudge towards Lee Je Hoon? Han Suk Kyu: There’s no such a thing. Hmm, I have (after second thought). Q: Any role you want to play (in the future)? 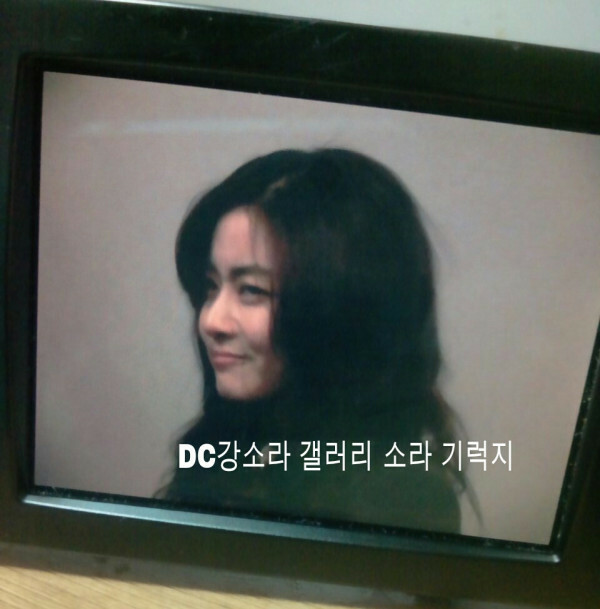 Kang Sora: Melodrama with actor whose have a (very) large age difference with me. Kang Sora: These two persons. Q: Oh Dal Su’s charm? Kang Sora: He’s like “Comic Book Store” Oppa. 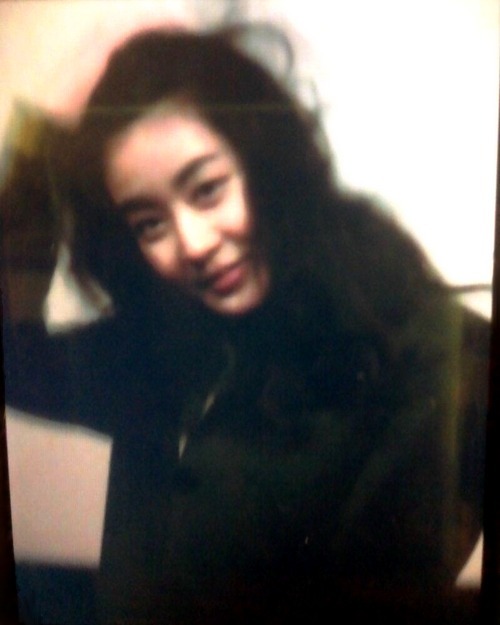 Kang Sora: Very mysterious (so) you keep wondering about him. He’s one in a million. Q: Han Suk Kyu’s charm? Kang Sora: He’s like “Church” Oppa. Han Suk Kyu: It seems greasy for me. 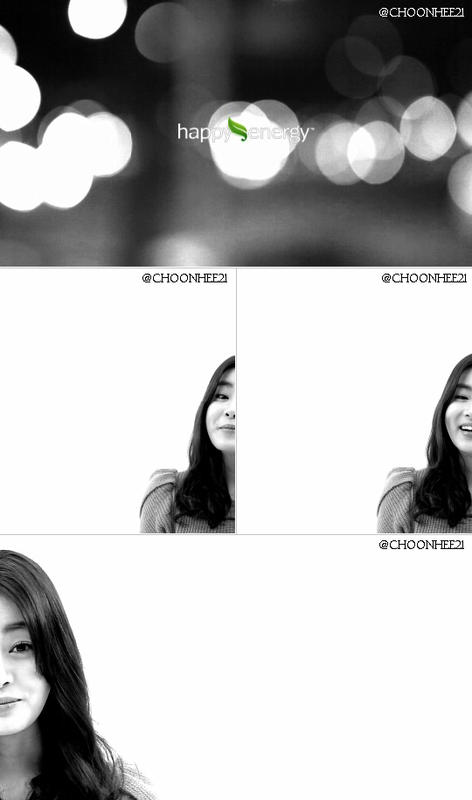 Kang Sora: A…I really like it. Han Suk Kyu: Let’s have fun during interview (not too serious). 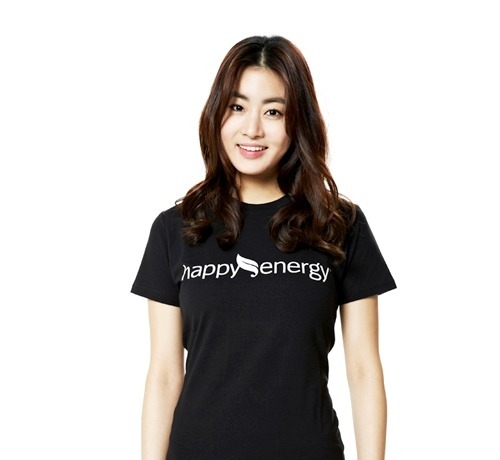 Kang Sora: Mysticism (literary meaning)! It’s like have a supernatural power that make you attracted to him. 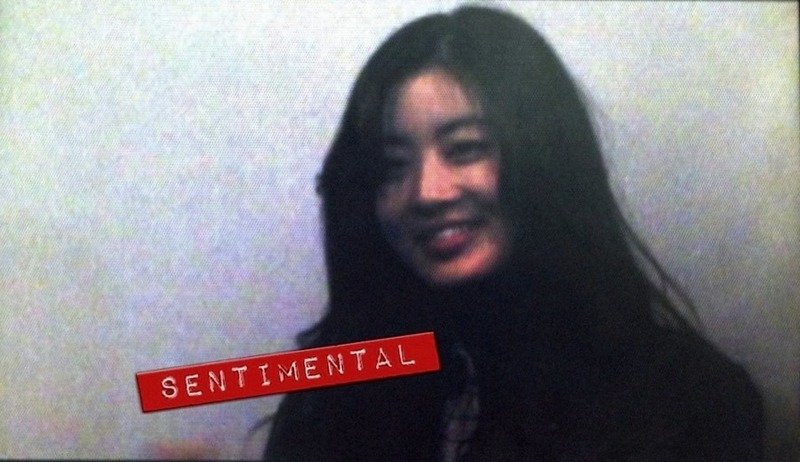 Kang Sora: Really handsome, his physical appearance is the best. Kang Sora: Is it his handsome face is too good for nothing (become a gangster)? 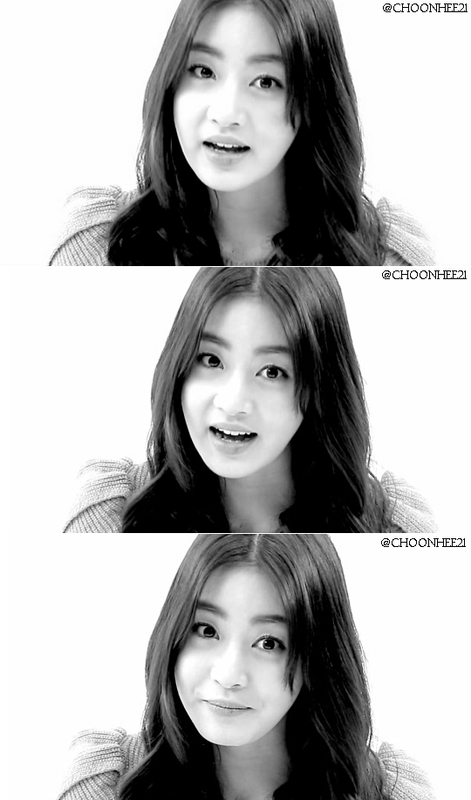 Kang Sora: (Actor) Lee Je Hoon’s charm (that make him selected as Jang Ho), I guess his eye. Kang Sora: Soon, I will go (visit you) and (make/brought) chicken warps for you.